502 Motorworks is a constructor and distributor of highly detailed recreations of some of motoring's most iconic cars. Extensive time and development is devoted to each model we offer in an attempt to recreate a nostalgic driving experience from days gone by. By building our own models and partnering with some of the world's top specialty builders such as Racing Green Engineering, 502 Motorworks is able to offer automobiles that not only look and feel just like the originals, but also drive just like them too. While there is plenty of market share out there for kit car builders and replica car manufacturers, our focus is a little different. We believe that building a smaller number of the complete turn-key automobiles and delivering those to true enthusiasts who want to relive the special memories or create new ones in a period-correct vehicle is much more rewarding for everyone involved. We hope you enjoy perusing the web site, and encourage you to contact us with any questions regarding the automobiles offered by 502 Motorworks. Happy motoring! 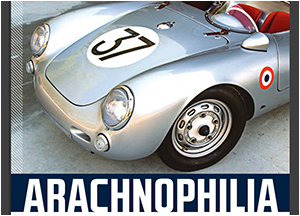 502 Motorworks and 502 Auto Club are not sponsored, associated, approved, endorsed nor, in any way, affiliated with Porsche Cars North America, Inc., or Dr. Ing.h.c.F.Porsche, AG (www.porsche.com). The Porsche® name and crest are trademarks of Dr. Ing. h.c. F. Porsche AG, and any other products mentioned in this Website are the trademarks of their respective holders. Any mention of trademarked name or other mark is reference purpose only and should not be construed as contesting such trademark. Copyright / trademark infringements are not intended, or implied. More coverage from ReinCarNation Magazine!